Sprint Samsung Galaxy S3 Receives Jelly Bean Leak, Where You At Verizon? 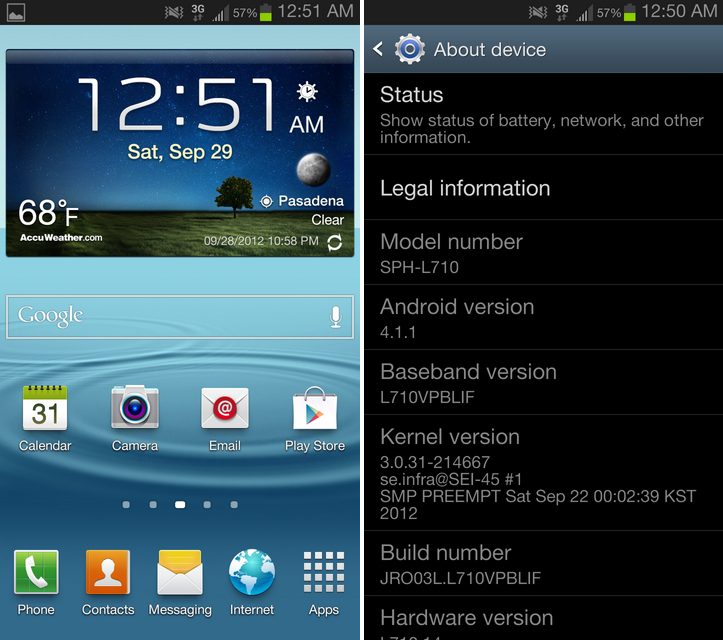 A ROM based on a leaked build of Jelly Bean for Sprint’s Galaxy SIII has hit XDA. This build is basically what should be rolling out to Sprint phones here shortly and maybe this could be a sign that we can expect the same from Verizon sometime soon? No promises. There has been minimal kernel tweaks to this ROM and a Jelly Bean boot up animation has also been added, but in here you will mostly see Samsung’s TouchWiz throughout and nothing else being touched. If you’re the owner of a Sprint SGSIII and want to see what all of the hype is about, check it out. Verizon SGSIII owners, when do you think we can expect to see Jelly Bean?